Glas Tek is a proud Glendale windshield replacement and auto glass repair mobile service provider. In fact, Glas Tek started their roots and are headquartered in Glendale, Arizona. We have been in business for over 8 years now and Glas Tek’s female owner has been in the auto glass industry now for over 24 years. We offer online Glendale auto glass quotes online, auto windshield replacement $50 CASH BACK, free rock chip repairs, and free mobile to Glendale residents and businesses. Located close to the downtown area in Glendale, Arizona, Glas Tek is a company that specializes in Glendale windshield replacement and auto glass repairs. We have great pride in offering top-notch customer service and amazing value. All customers are served with high-quality, unsurpassed Glendale windshield replacement services. These services include Glas Tek professionals going to the home or workplace of our Glendale, Arizona customers. Every day, our highly skilled glass technicians provide services all over the valley. These technicians have a minimum of 5 years experience repairing auto glass and replacing windshields. They can be trusted to prevent the roof of your car from caving in after a rollover accident that damaged the windshield. Glas Tek is your best bet as it relates to value, safety and service. With the installation of any new windshield, Glendale residents are offered free mobile service and free rock chip repairs. Other incentives include online auto glass repair quotes and 10 percent credit on future purchases of your choice of auto glass, windshields, chip repairs, or door glass, back glass, and quarter glass replacements. In addition, we offer military and senior citizen discounts. We work with all Arizona insurance companies including: Allstate, Alliance, Allied, Encompass, Farm Bureau, Metlife, and Safe Auto. We honor allinsurance pricing so that there will never be any out of pock costs for you. 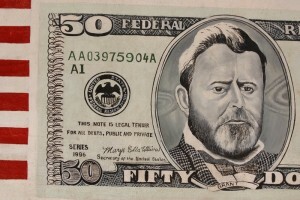 In addition, we will pay you $50 CASH with any approved Glendale auto windshield replacement insurance claim. Insurance claims are fast and easy and take only about 10 minutes of your time. In most cases, we can provide free mobile service the same day. Start your online auto glass replacement claim today! Located approximately 9 miles from Downtown Phoenix, the city of Glendale falls within Maricopa County. There is estimated to be roughly 250, 000 Glendale residents. “Arizona’s Antique Capital” is a name by which Glendale is also known. Additionally, the city plays host to the Arrowhead Towne Center mall, which is among the most unique shopping destinations in the area. Glendale is also the home of Midwestern, which is the first medical school in Phoenix. The Thunderbird School of Global Management is also a pride and joy of Glendale. The Arizona Cardinals have their home base in Glendale and the Sun Devil Stadium, located at the Arizona State University, was the venue for a lot of their games. 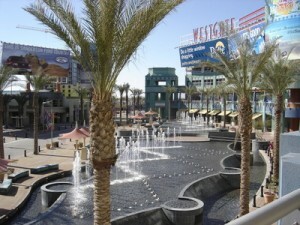 In 2006, the Cardinals began playing at the stadium located on the University of Phoenix campus. This stadium was featured on Modern Marvel, which is a popular television series that airs on the History Channel. Glendale is often called “Arizona’s Antique Capital” and is also the location to the Arrowhead Towne Center mall which is located in the northwest part of the city. Glendale also has the metro Phoenix’s first medical school named Midwestern, and also the Thunderbird School of Global Management. Glendale is the home of the Arizona Cardinals, the team use to play at the Sun Devil Stadium on the campus of Arizona State University located near Tempe. In the year 2006 Arizona Cardinals started playing at the University of Phoenix Stadium. The stadium was featured on the popular TV show called Modern Marvels on The History Channel. Glendale is one of many stops we take every single day here at Glas Tek, we deliver valley wide to keep you on the road and safe.